It’s that time once again! Eleven brand new teams of two are ready for the biggest, best, most exciting Race in the world! The Amazing Race Philippines of course! 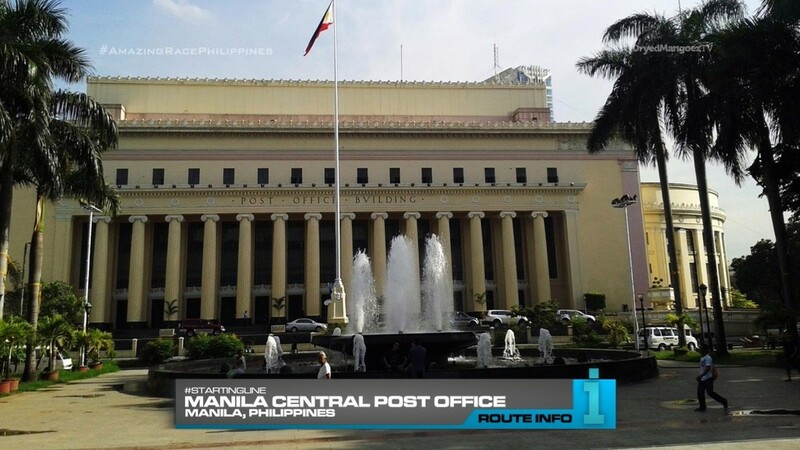 This season’s Starting Line is the historic Manila Post Office. This is a perfect location for this opening task as well. 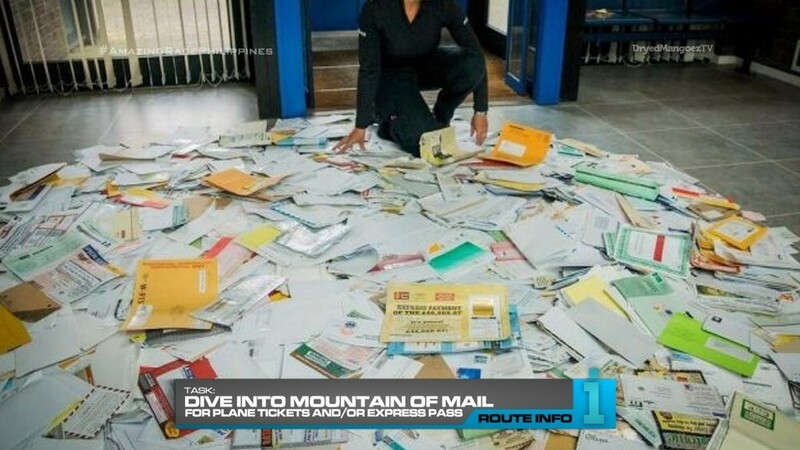 Teams must search through huge piles of mail for letters addressed to them. Those letters contain their first clues. But also in the bins are Express Passes and Super Yields! Only the first two teams each to claim the passes will win them. 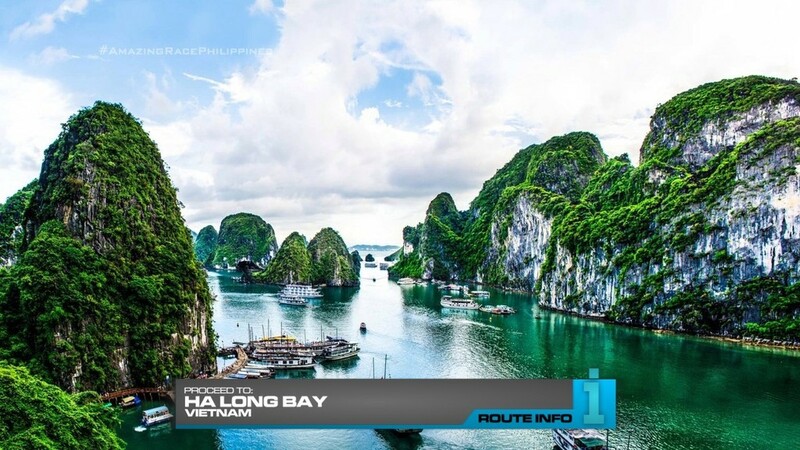 When teams open their letters, they’ll find out they’re flying to Hanoi, Vietnam! They will need to exchange their envelopes for plane tickets. The first five teams will be on a China Southern flight via Guangzhou arriving in Hanoi at 11:15pm. 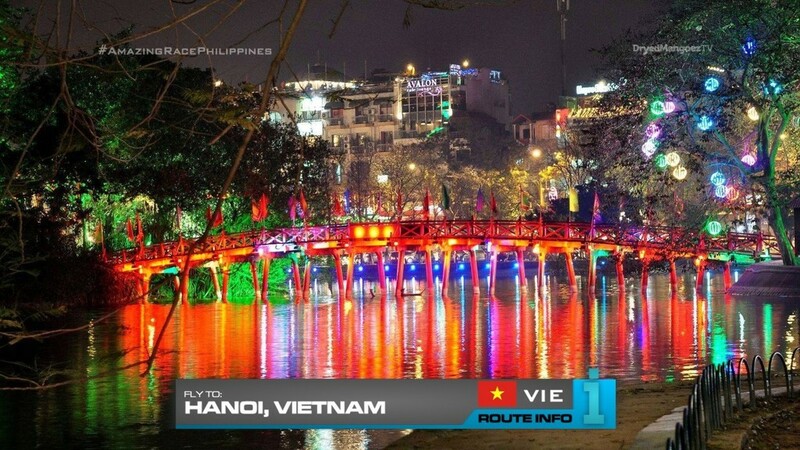 The second flight will carry six teams on Cebu Pacific direct to Hanoi arriving at 12:30am. 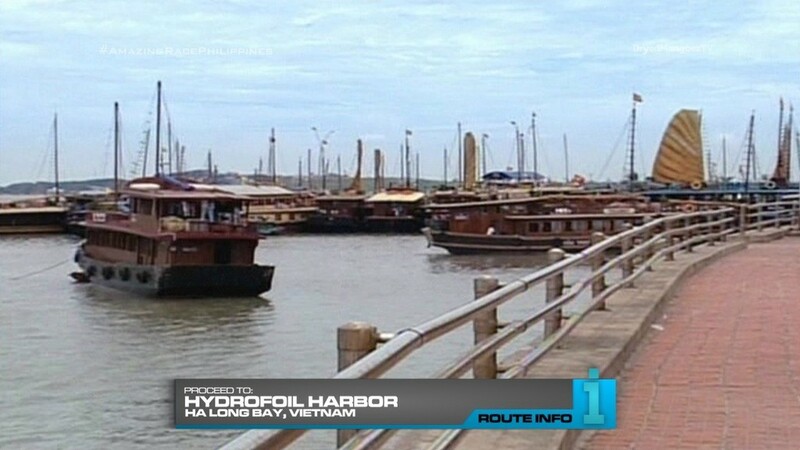 Teams will need to take a bus to Hydrofoil Harbor in Ha Long Bay. All teams will end up on the same bus. At Hydrofoil Harbor next morning, teams will find the Road Block: Who wants a good view of the bay? To get to the Road Block location, teams must choose a motorboat to take them there. For this Road Block, teams must use a mechanical ascender to climb 90 feet up the sheer face of the cliff at Hon Yen Ngua to grab their next clue. They will then rappel back down to reunite with their partner. There are three lines, so three teams can attempt the task at a time. 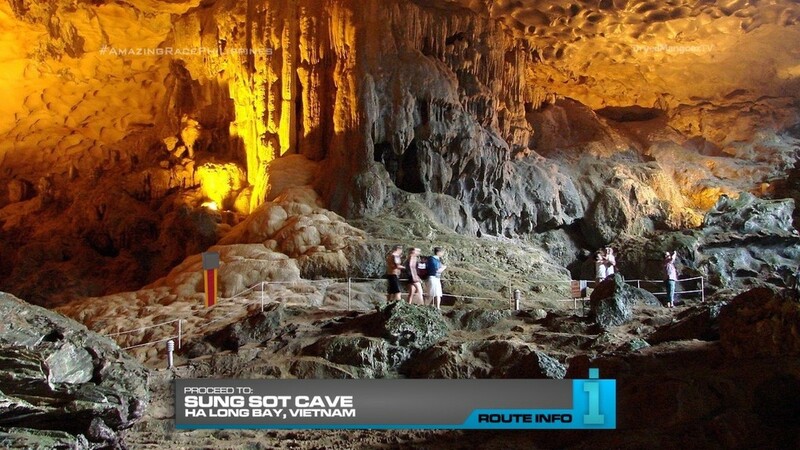 After the Road Block, teams must travel by motorboat to Sung Sot Cave where they will need to search for the next clue. 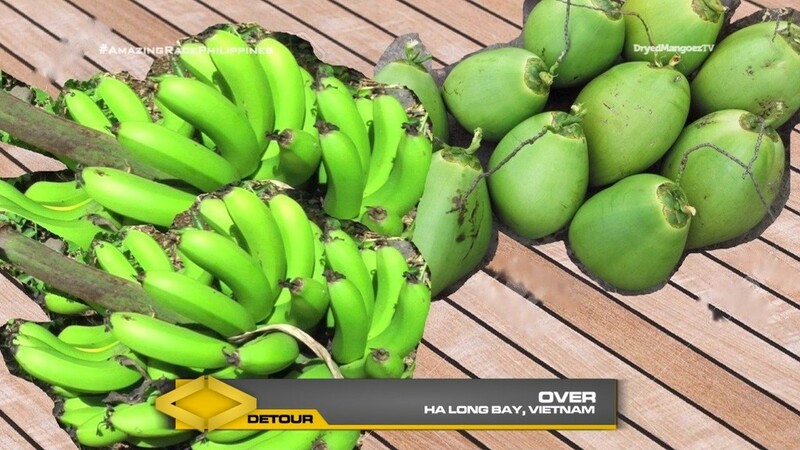 That clue reveals the Detour: Under or Over. 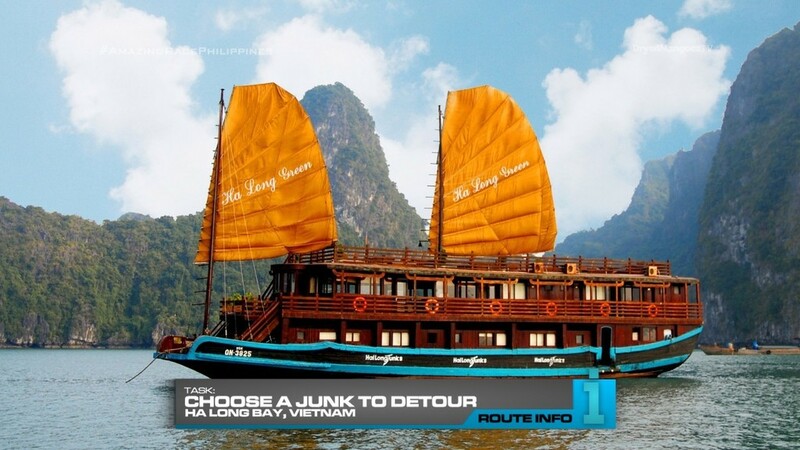 For both Detours, teams must choose a Vietnamese junk which will also have a sampan which they must use to reach both Detour locations. 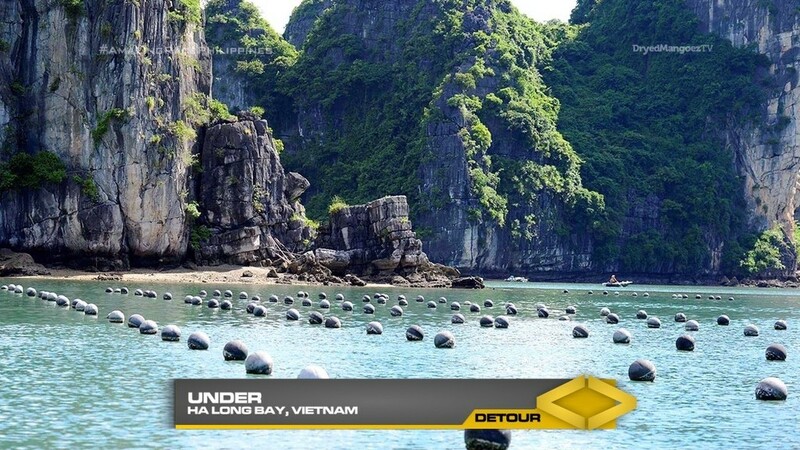 For Under, teams must row to a nearby pearl farm, choose a line of buoys and pull up 30 baskets onto their boats. They must then deliver the baskets to a pearl farmer to receive their next clue. In Over, teams must row to a provisions ship, load the provisions and row to a nearby floating village to deliver the goods. They will receive a receipt which they must present back to the provisions ship to exchange for the next clue. 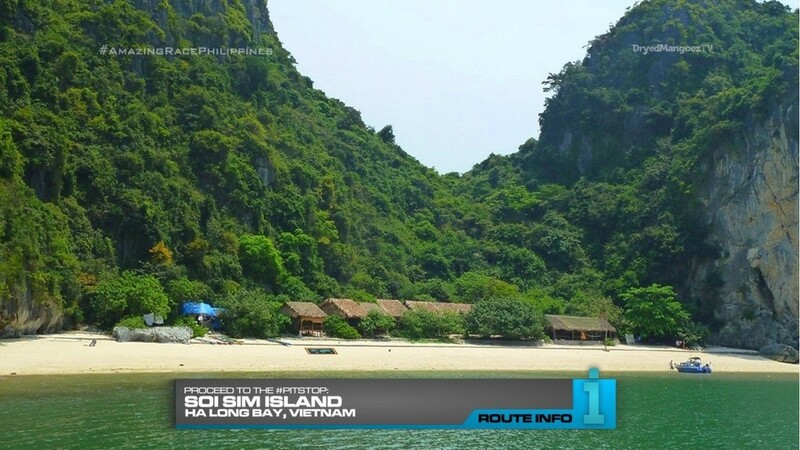 And that clue directs teams to take their junk to Soi Sim Island, the Pit Stop for this first Leg of the Race. I have been loving TAR10 lately. And this Leg definitely recycles TAR10’s second Vietnam Leg. I think it is very full and a Leg that would be very exciting for a premiere. The Manila Post Office Starting Line task is just another necessary task thanks to the inability to run around Manila’s airports trying to catch a flight. The rest of the Leg plays out like TAR10 which, again, was just an amazing season. And this Leg was great as well. Very physical tasks. 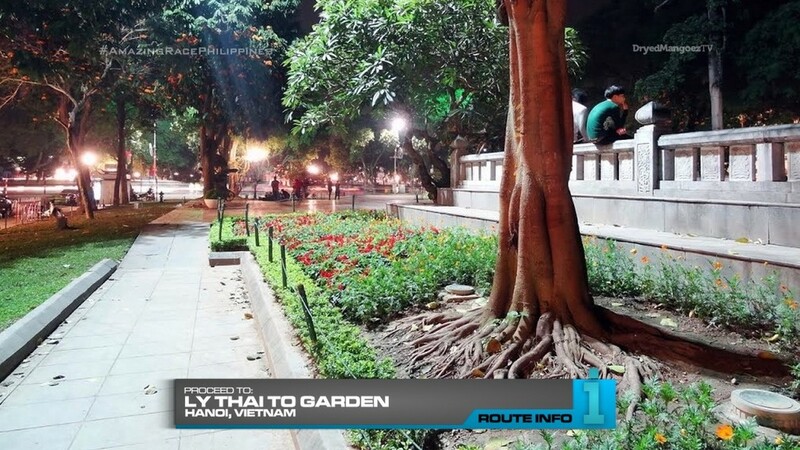 TAR Vietnam even recreated most of this Leg as well. Having such a difficult, physical first Leg should be a great way to wake teams up and let them know this is not going to be just a vacation. It will be a true competition.